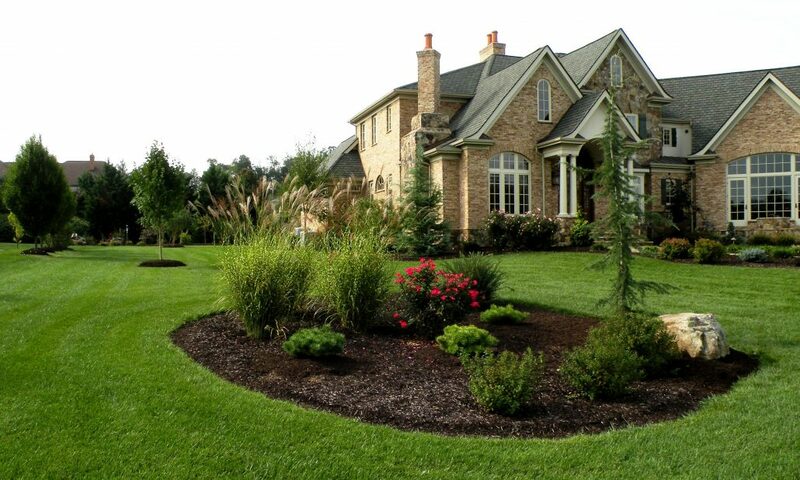 Mulch, Stone, and Pine Straw Accents Make Your Gardens Pop. 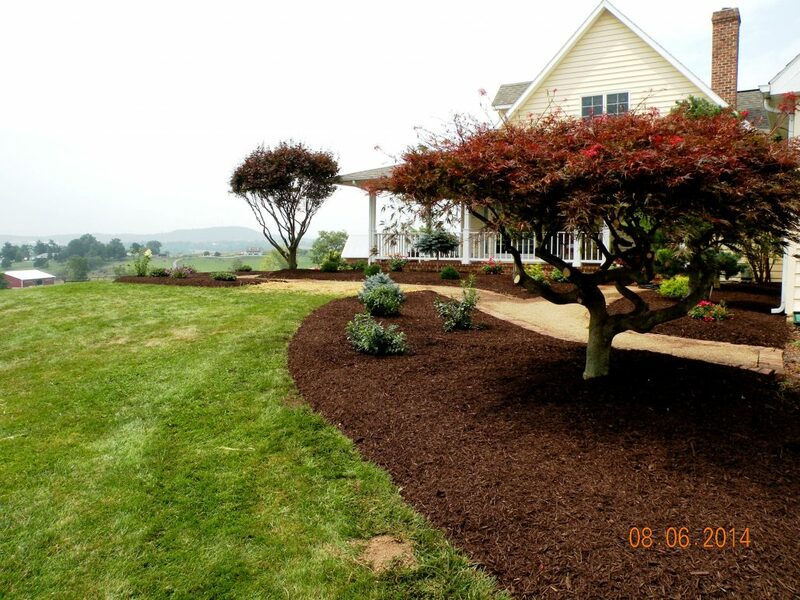 Shreckhise Landscape & Design provides the highest quality mulch, landscape gravel and long needle pine straw to enhance your gardens with a beautiful, natural accent. We’ve got the knowledge and expertise to complement your home and garden with the perfect color and texture of mulch or stone accents. Our unique landscape designs also incorporate boulders and waves of natural stone for added interest. 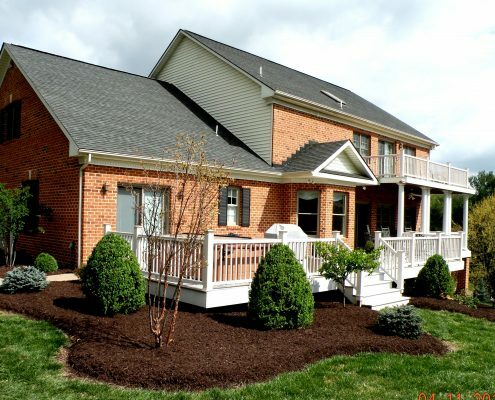 Your Landscaping Needs Determine The Type Of Ground Cover We Recommend. 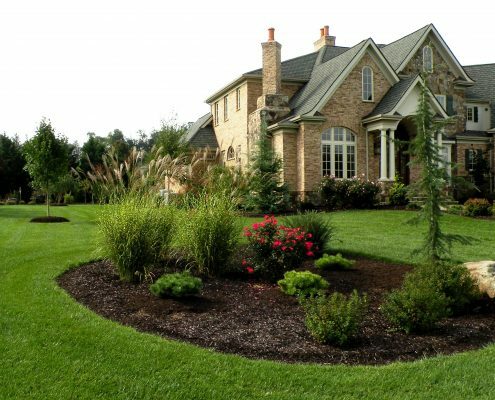 Although mulch, stone, and pine straw provide beautiful visuals as accents in your garden, they’ve also got a tremendous practical value. Rock beds can be preferable in commercial areas that have greater physical demands and abuses. 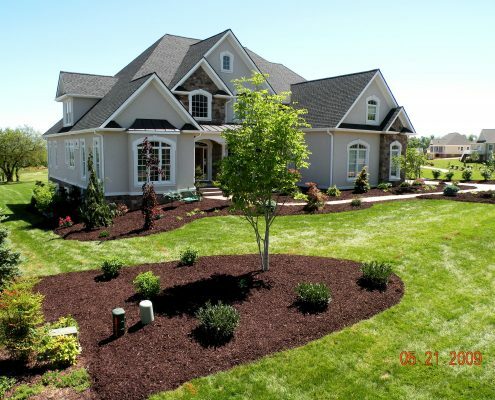 Natural mulch strengthens the plants in your garden. 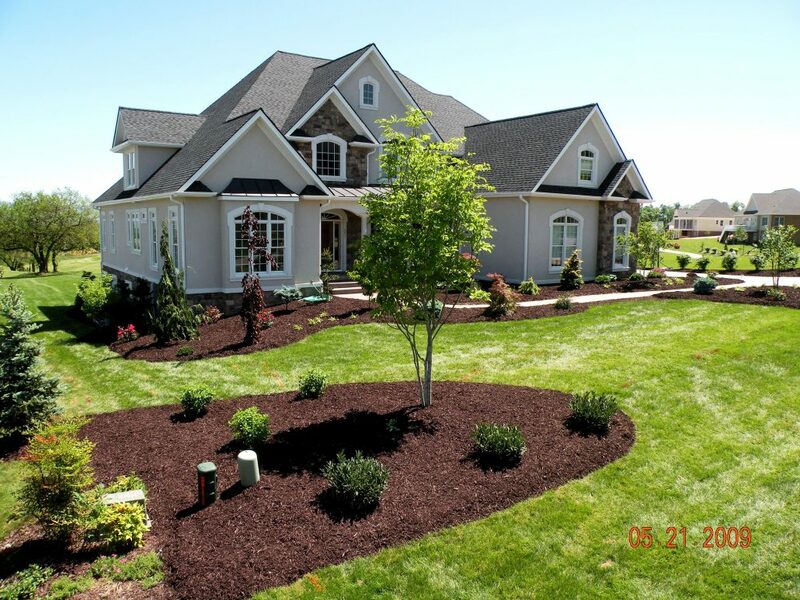 Plants grow better with natural mulch or pine straw because it provides a cooler surface, it increases the microbial activity in the soil, it retains moisture, and generally improves the quality of the soil. Plants prefer mulch. 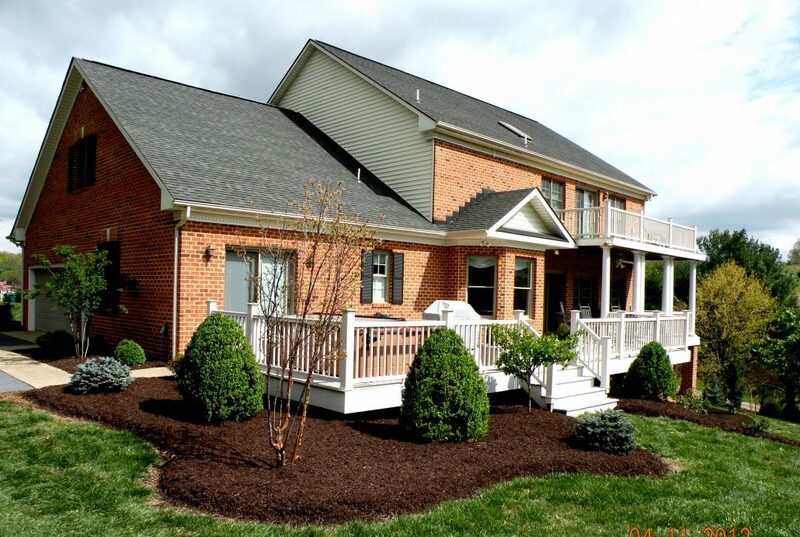 The landscape is much more restful and inviting without the glare created by overbearing, “hard” surfaces like concrete, asphalt, and brick. 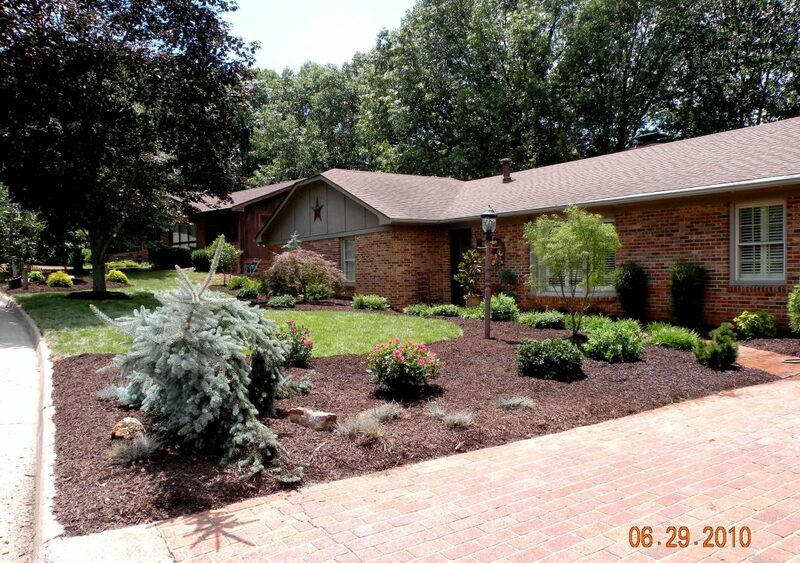 Blending Mulch and Stone Gives Your Gardens Unique Texture and Color. 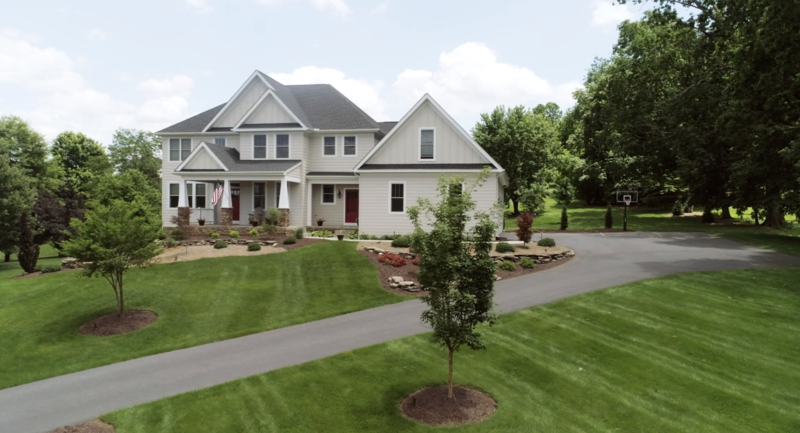 Organic mulch and natural stone accents are the perfect aesthetic tool to provide contrast to the variety of bright and beautiful colors and textures throughout your gardens. 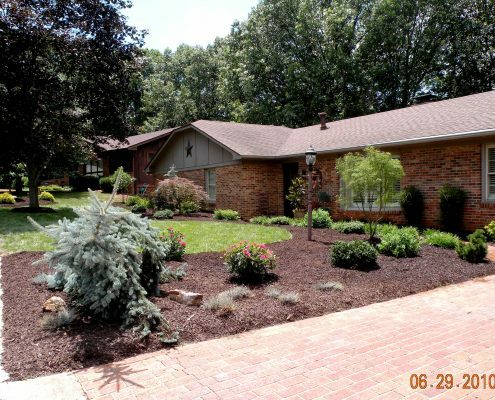 When used around environments containing concrete, brick, stone, and other hard surfaces, organic mulches create a much softer, natural and welcoming visual. We also have creative ways to blend pine straw into some areas of your bed to add a new twist to the traditional mulched look or simply refresh your old mulch. Check out our gallery for examples of our work.